The key to finding habitable planets may well lie a lot closer to home than many of us realise. Since 1997, NASA satellites have been observing our own Earth, building up a fabulous resource which shows us exactly what a planet that is capable of sustaining life looks like. This huge repository of information is now helping inform scientists as to some key pointers they should be looking for as they trawl the universe looking for other planets which may hold the potential to support life. This week, NASA is focusing on ‘Habitable Worlds’ - a system science workshop being run by NASA from 13 – 17 November 2017. The goal is to bring together a wide range of research relating to exactly how the many conditions on each planet interact in order to come together and provide an environment which can support life. NExSS, the Nexus for Exoplanet Systems Science, is overseen by NASA, with the goal of studying the potential habitability of planets. Many Worlds is NExSS website featuring in-depth information regarding the science behind the detection of exoplanets and, along with NExSS, is co-led by Tony del Genio from NASA’s Goddard Institute for Space Studies, based in New York City. Rushby has been working on ways to improve our knowledge of these planets within habitable zones, which includes the development of a model of the Earth’s carbon cycle. This model is used to study a range of planets in the habitable zones surrounding their stars, and prioritising which of those could be likely targets for supporting life. He has found that larger rocky planets tend to have a higher probability of possessing a surface temperature which would allow the existence of water in a liquid form. Morgan Cable, from NASA’s Jet Propulsion Laboratory, is on the lookout for planets and moons within our own solar system which may also have the potential to provide liquid water. 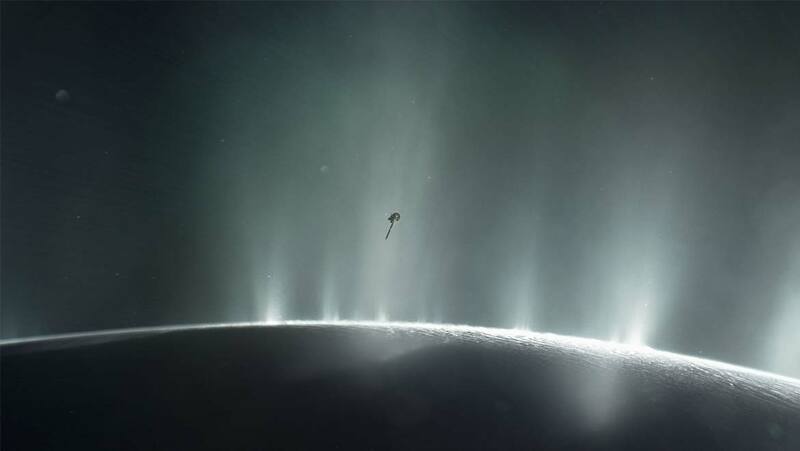 Of Jupiter and Saturn’s moons, she says: "We thought Enceladus was just boring and cold until the Cassini mission discovered a liquid water subsurface ocean." And again, life here on Earth is helping scientists prepare for future missions to these moons, with the goal of finding out more about the moon Europa. Satellite observations of the Arctic and Antarctic are being used to help inform how we might go about finding out more about estimating the age of the ice on Europa. Cable said this is important because: “When we visit Europa, we want to go to very young places, where material from that ocean is being expressed on the surface. Anywhere like that, the chances of finding evidence of life goes up -- if they're there." This makes the photographs similar to what would be seen in images collected of various exoplanets which are being explored as potential habitable candidates. Kane has produced a wide variety of images, including exploring the difference between levels of brightness when the majority of the photograph is made up of either water or land. Other scientists suggest that the timeline could take considerably longer, and of course depend on whether the planet fits into our projected understanding of what a habitable planet could look like. Given that we only have one firm example, it makes sense that a vast amount of research into the hunt for life on other planets is being informed by our own glorious Earth.